Fincke’s recent work includes The History of Permanence (Stephen F. Austin University Press, 2011) which won the Stephen F. Austin Poetry Prize; a memoir, The Canals of Mars (Michigan State University Press, 2010); and a story collection, The Proper Words for Sin (West Virginia University Press, 2013). His story collection, Sorry I Worried You (University of Georgia Press 2004) was the winner of the 2003 Flannery O’Connor Prize for Short Fiction. Several of his stories have been cited in Best American Stories, O. Henry Awards, and Pushcart Prize volumes. His story, “The Blazer Sestina,” was the winner of the George Garrett Fiction Prize. 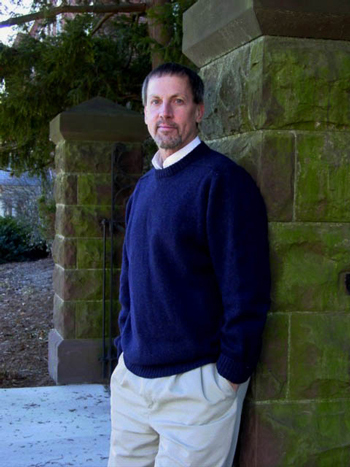 Fincke is the Charles B. Degenstein Professor of English and Creative Writing and Director of the Writers Institute at Susquehanna University. Derek Alger: You were born and raised in Pittsburgh? Gary Fincke: A couple of miles north in a town called Etna. My father owned a bakery there two blocks from the steel mill, a Mom and Pop shop, where everyone pitched in. .
My parents weren’t educated past high school, and they didn’t read. The only magazine I remember was hand-me-down copies of the Reader’s Digest from a neighbor, but from day one, I knew I was going to college. My sister and I both, no doubt about it, so high school was just something that prepared you to go further. I went to Thiel College and earned a BA in English, but I began believing I was going to be a doctor. I had all sorts of test scores to show I had the aptitude, but those tests didn’t examine my attitude. Literature classes were the only ones that interested me, though my father, when I announced the change at the end of my freshman year, didn’t talk to me for several weeks. Maybe if I had used the English major to prepare myself for a Lutheran seminary, he might have given me a hug. Religion was the most important thing to him, that and a work ethic.The work ethic part stuck at least. I was born at the very beginning of the baby boom, and for a while the politics of the era became important, and a lot of those events — Cold War, atomic bombs, Vietnam, Richard Nixon — have been filtered into my stories, especially the coming-of-age ones..
DA: And then on to Miami University. GF: Yes, in Oxford, Ohio. Though deferments from the draft disappeared that year, and instead of staying on to study for a PhD, I managed to find a job being a high school teacher because that deferment still was in effect. The war had a lot to do with choices I made then. Some had profound effects on me. When I was hired to teach at a Penn State campus near the Ohio border, I enrolled at Kent State in a doctoral program just in time to be there for the National Guard shootings. GF: Which I still play every May 4th and have tried to write about. I just took my 13 year-old grandson there when we went to the pro football hall of fame — it still seems that important. Before the shootings I think much of my attitude about Vietnam was selfish, but afterward, I became genuinely political—that is, for the larger good. At the Penn State campus I became modestly radical — the campus was in a conservative, blue collar area. I was 24, not much older than my students, and authority figures and those in uniform became suspects. Some of that remains within me. DA: Still, you continued on and received your PhD. GF: Yes, though by the time I was writing a dissertation about post World War I disillusionment (it seemed quite similar to my personal attitude, so the subject engrossed me), I was beginning to read a great deal of contemporary writing on my own — collections of poems and short stories that I came to because I discovered the writers in literary magazines. I wasn’t going to abandon the PhD in Modern American Literature, but I’d already decided I was going to try to make the literature rather than study it from now on. DA: You really started writing fiction at that time. GF: I started by self-teaching myself poetry, worked at poems for six or seven years before I added short stories to my self-teaching. The trial-and-error system takes time. I’ve never had a mentor except the voices of the writers who engaged me on the page. So I didn’t write until I was nearly 30 and was in my mid-thirties before I wrote a story I wouldn’t find embarrassing today. Creative nonfiction found me by accident in my mid-forties when I returned to Kent State for a day and was surprised to find myself so angry that I had to try and write about it as nonfiction. An essay called “The Pagoda Sightlines” that eventually was cited in the “Notables” section of Best American Essay, a sort of verification for me that maybe I could approach some subjects directly. So for the past twenty years I’ve written in three genres, moving from one to the other according to whatever impulse drives me to the page every morning at six a.m.
DA: You’re now the Charles B. Degenstein Professor of English and Creative Writing and director of The The Writer’s Institute at Susquehanna University. GF: The endowed chair was a nice thing to achieve, another sort of verification. I took a convoluted path to end up in that position. I was Chair of the English Department in a high school in upstate New York after Penn State before arriving here, but all of it was valuable. I became a much better teacher, and I learned some things about establishing rapport with colleagues — every one of them at that high school was older than I was, and all of them had years of experience. My early years at Susquehanna had mostly to do with developing an affirmative action program, but that, too, served me well when I got the chance to begin to develop a creative writing program in the early 1990s. I started with a visiting writers series, a literary magazine, a summer program for high school students, and taking on all three genres in a variety of workshops. By 1996, I’d started a creative writing major — I joked that the students majored in me at the time — but by 2000 there was another writer on the faculty, and I’ve never looked back. There are 168 creative writing majors at Susquehanna right now, 8% of the student body, with six writers, four magazines, and our own house for offices and classes. It’s been a joy. I’m always learning something from my students, many of whom are extraordinary in their talents. 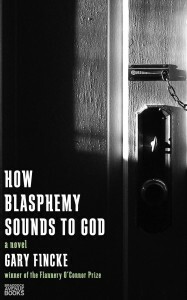 DA: And now you have a novel, How Blasphemy Sounds to God, which came out earlier this year. GF: Yes, it’s structured as a novel in stories. It’s not surprising that the first time I extended my fiction to several hundred pages that I grounded the story in Western Pennsylvania in the 60s—the entire decade, I should add, since it’s not about the “fantasy” of the 60s some of my students have. All those blue collar voices I can still hear found their way into it, and for sure, their lives were directed elsewhere. DA: How did you come up with the idea of a novel in stories? GF: It allowed me not to be in entirely unfamiliar territory. I had three or four stories that looked to me as if they were revised a bit — changing the third person narration to first person, accounting for details about family and such that it might be possible to keep that situation going and find out what becomes of the narrator beyond where those stories originally stopped. Most of the stories could still stand alone, but half way in I was writing out to the extended story, and that was different—I carried the characters around every day for months then. Over the years, my short stories have moved significantly far away from being autobiographical, but the novel moved back in that directions, especially about place and attitude and even a few incidents, something that helped keep me grounded throughout as well as clearing a few paths through hundreds of pages. DA: Your short story collection, Sorry I Worried You, received special recognition. GF: It won The Flannery O’Connor Award for Short Fiction in 2003. I think part of its success was that even though the characters are often making suspect choices, I managed to write them full enough to make them somewhat sympathetic even in their failures. Ordinary people facing, for the most part, ordinary problems. I hope readers find that I have enough insight into their lives that the ordinary can become something much larger that is significant to everyone. The best way to describe how I go about writing stories would be to say I listen for voices, and when one or two seem so clear that they demand my attention, I do what Andre Dubus recommends — I follow them home. When things work out, their story demands to be written. I just have to be patient enough and listen hard enough. While writing short stories you set stories in a particular time and thought eventually some of the stuff that makes a good story would come out. DA: Your most recent story collection, The Proper Words for Sin, is about ordinary people and the struggles they confront. GF: Nearly all of my stories fall into the category —I ’m not attracted to “big” events, but I do find that having those events present and off to the side or hovering behind my characters helps color their world so that the characters are acting in a particular time and place. I have stories set against historical events, such as The Three Mile Island accident, the Challenger Disaster, and the Kennedy assassination that personalize history through a juxtaposition between large and small tragedies. But I work hard to avoid the clichés of those events — that everyone was universally saddened by Kennedy’s assassination, for example. We had basketball practice that afternoon; we had our first scrimmage the following Monday. Certainly, we had school, and when Thanksgiving arrived a few days later, my uncles wanted to talk football and basketball. Kennedy was never mentioned. It’s that attitude that draws me to the potential of a story. DA: You recently wrote a memoir, The Canals of Mars. insight could trigger new ways of seeing the past. It became exciting then, and I wrote the second half of the book within the year, published those essays, and began to edit and revise to get rid of the redundancies. DA: You did seem to be following a familiar theme. GF: The overriding idea that I came back to again and again was that I recognized the feeling of never being good enough, that I was, and still am, obsessed with the idea of not being perfect. The trigger for the entire book is my maternal grandfather who must have been an alcoholic, though no one spoke that way about him — he was referred to as a “character” instead of a drunk who couldn’t hold a job, was thrown out of the house, and ended up in a charity home. He was always a “lesson” being held up to me, though when I was a teenager and in my early twenties, I visited him a few times and found him to be a decent man with a weakness he couldn’t handle, not a bogeyman. For what it’s worth, what I “inherited” is the inability to celebrate any sort of achievement for more than a few minutes or maybe, at best, a few days. My family recognizes this — I might have passed it along. Publishing a new book, for example, is more a relief than a joy. The same for graduate degrees and even my endowed chair at Susquehanna. It keeps me busy pushing to the next thing, but I wish it were otherwise. DA: You also took time to write a book, Amp’d: A Father’s Backstage Pass, about your son’s career as a rock-and-roll guitarist. GF: Yes, it follows three years of my younger son Aaron’s rock life.His band won something called MTV’s Ultimate Cover Band, which led to a record contract with Universal/Republic. When that band didn’t generate enough buzz, he joined another called Breaking Benjamin, which became a multi-platinum selling rock band. But it was the first show after the MTV telecast that hooked me, a big crowd, lots of moshing and foolish behavior, beautiful girls, and most of all, my son, who is usually quiet, generating some of the excitement with his guitar and seemingly transformed on stage. The book is really a story about family and fatherhood. I hope it’s more than a rock and roll book. DA: We should also let everyone know about your athletic prowess. GF: I was a sprinter once way back when and played basketball in college, watching most games from the bench, but tennis was the sport that stayed for quite a while. I played #1 in college and played tournaments for years, and even was a summer time tennis pro at a country club when I was teaching high school in the 70s. The best part of tennis was when I had the chance to coach the men’s tennis team at Susquehanna from 1981 to 2001. We did well most of the time, and the teams won five league championships during my tenure. The best of those years were the ones when my older son played on the team. Near the end, my knees began to scream “Stop.” Fortunately, I don’t need them in order to sit back down to the page and write each day.